QUARRY'S BACK – FOR HIS TOUGHEST JOB EVER. The ruthless professional killer known as Quarry long ago disappeared into a well-earned retirement. But now a media magnate has lured the restless hitman into tackling one last lucrative assignment. The target is an unlikely one: Why, Quarry wonders, would anyone want a beautiful young librarian dead? And why in hell does he care? 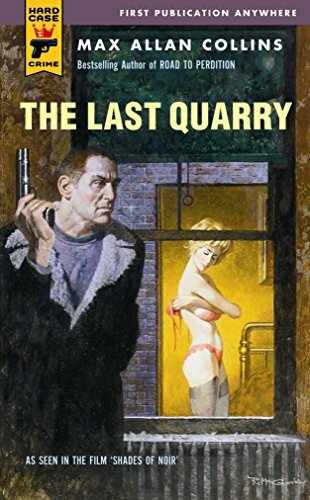 On the 30th anniversary of the enigmatic assassin's first appearance, bestselling author Max Allan Collins brings him back for a dark and deadly mission where the last quarry may turn out to be Quarry himself.